Facebook CEO Mark Zuckerberg today outlined several steps the company has taken and plans to take to protect users in the wake of the Cambridge Analytica scandal. In 2013, an app developer created a personality quiz that was used by 300,000 people. Art enthusiasts have 200,000 new reasons to be excited about the Google Arts & Culture app, which recently expanded its partnership with New York City's Metropolitan Museum of Art. The Met has been methodically digitizing its collection of more than 1.5 million artifacts that span some 5,000 years of history. 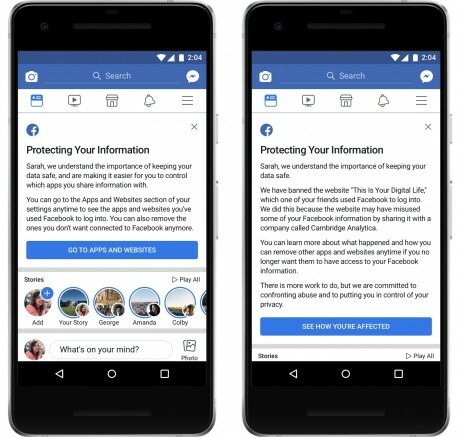 Facebook today provided an update on its internal audit with respect to apps’ access to user data. Specifically, the company is examining which apps had access to large amounts of user data, similar to Cambridge Analytica, and if those apps misused that data.